Squat candlesticks often show a tendency reversal. Usually they tell about uncertainty of a current market direction. The squat candlesticks mostly appear at the price levels. There can be one or some such candlesticks. If you see a candlestick with a small body and long shade you should be prepared for the current tendency reversal. 3) After closing a new candlestick open a deal in its direction. If you see a tendency continuation after appearance of the squat candlestick you should consider the signal to be canceled. 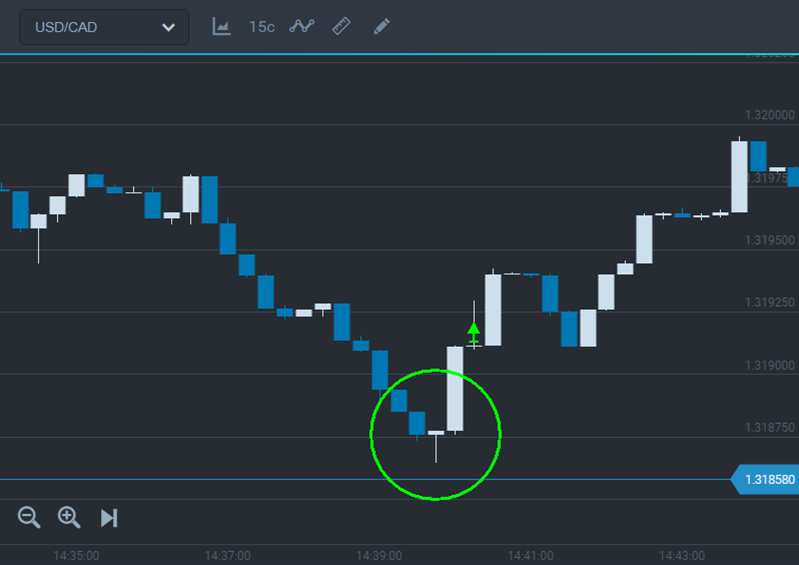 As in a case of engulfing pattern we should wait for closing a new candlestick following the squat candlestick to confirm a reversal. Remember there can be some squat candlesticks in a raw and all of them will signalize about market uncertainty. You can study many squat candlestick patterns from the books on candlestick analysis.